A Day Late and A Dollar Short: More Bath & Body Works Sales & Promotions! 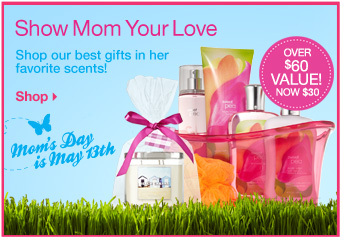 More Bath & Body Works Sales & Promotions! Shop through ShopAtHome.com to earn 7% cash back and get a $5 bonus just for singing up, if you are new to ShopAtHome! Don't know about Cash Back sites? Read my post on how you can get paid for shopping on-line!